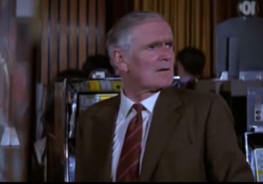 Desmond Llewelyn was born in Newport at Blaen-y-Pant House in Bettws. He was a comparatively wealth, middle class background. His grandfather Llewlyn Llewelyn started out in mining and rose to be a colliery owner and High Sheriff of Monmouthshire. His son Ivor, married his cousin Mia when he was 30. The pair had two children, Desmond and a younger daughter Noreen. He originally wanted to be a minister week-long retreat of quiet and meditation that the ministry "was definitely not for me." Llewelyn persevered in his acting quest, and was accepted to the Royal Academy for the Dramatic Arts in the mid 1930s. The outbreak of World War II in September 1939, halted his acting career, and Llewelyn was commissioned as a second lieutenant in the British army. He was assigned to the Royal Welsh Fusiliers and was sent to France in early 1940. The actor was in charge of oxygen supply and made a pipe from butter tins that used a bellow system to ensure there was fresh air in the tunnel. In a short time, his regiment was fighting the Germans, and Llewelyn's company was holding off a division of German tanks. Llewelyn explained that "eventually, the tanks broke through" and over-whelmed them. He was soon captured by the Germans and spent five years as a prisoner of war. Desmond was fortunate enough to be in a position to participate in acting roles with the other prisoners, putting on entertainment shows. In 1942, while at Eichstatt, he participated in the world premier staging of a Noel Coward play including Colditz. He was part of several failed escape attempts and would most certainly have come into contact with the sorts of escape devices that would become familiar to work in later life. He recalled later that he felt he and his fellow British Army officers were treated fairly, even when caught in the midst of a planned escape! After the war, he returned to London and revived his acting career. Beginning with From Russia with Love in 1963, Desmond appeared as Q, the quartermaster of the MI6 gadget lab, in all subsequent EON Bond films, with the exception of Live and Let Die in 1973, in which the character Q did not appear. 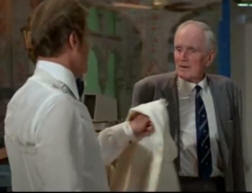 In the Living Daylights Q wears a Newport Rugby Football Club tie . Llewelyn is credited to have played rugby for the club at a lower level. He became an honorary member of the Fire Service College at Moreton in the Marsh, in the Cotswolds. He also wore the tie of the Malpas Cricket due to his association with the club. 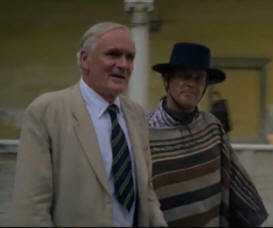 In 1999 Llewelyn was fatally injured in a car crash after making an error of judgement, an inquest heard. The 85-year-old actor from Bexhill was returning from his native Wales to attend a book signing at Alfriston when his car collided head-on with another vehicle travelling on the A27 near Firle. An Eastbourne inquest heard how Mr Llewelyn crashed his Renault Megane while attempting to overtake another car.